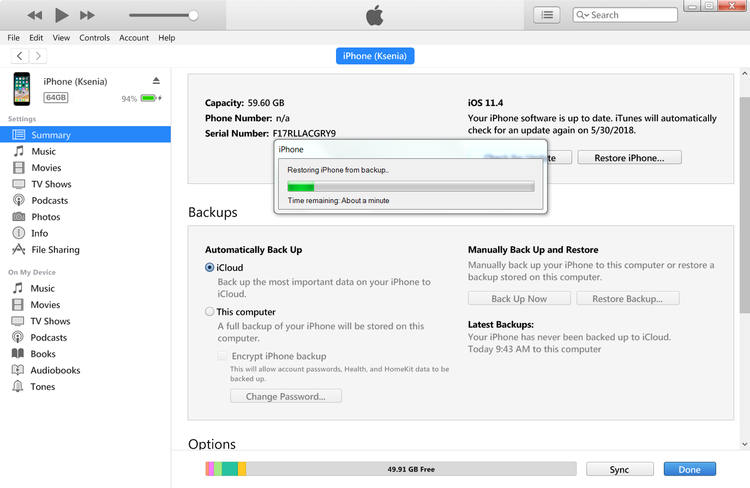 How to restore iPhone SMS from iTunes backup? 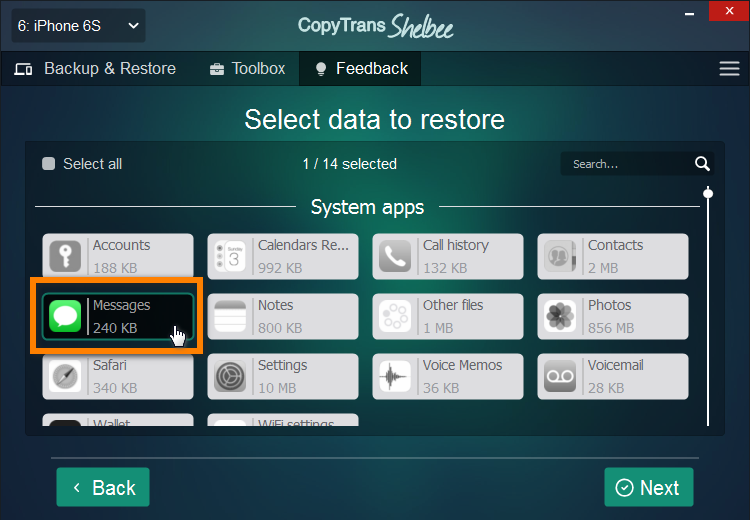 Home » How to restore iPhone SMS from iTunes backup? This is a quick guide demonstrating how to restore lost or deleted iPhone SMS and iMessage conversations from a backup previously made by iTunes. Open iTunes on your computer and connect the iPhone. Once the iPhone appears in iTunes click on the device button. 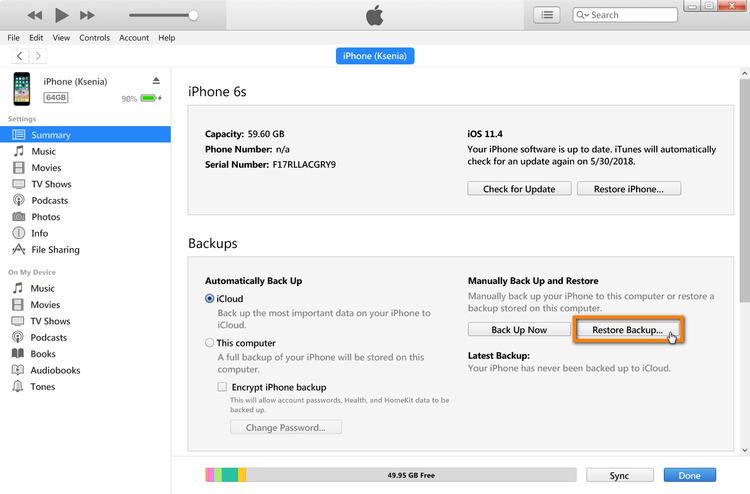 Select a recent iPhone backup entry and click “Restore”. 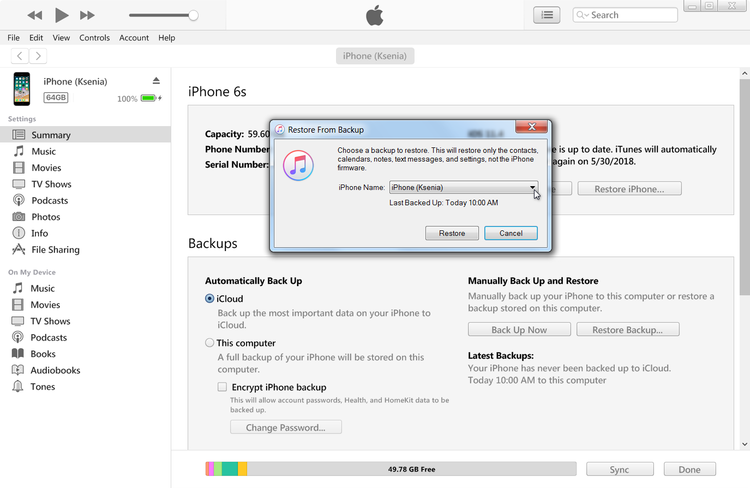 Note: Select the iPhone backup entry dated before you lost access to the iPhone SMS messages. Warning: restoring iPhone SMS and iMessage conversations from iTunes backup removes any media tracks which currently exist on the iPhone. iTunes then overwrites the iPhone contents and settings with the ones contained in the backup file. Once the restore is finished, you should regain access to the lost or previously deleted iPhone text messages. This method won’t overwrite all your data, just the messages. 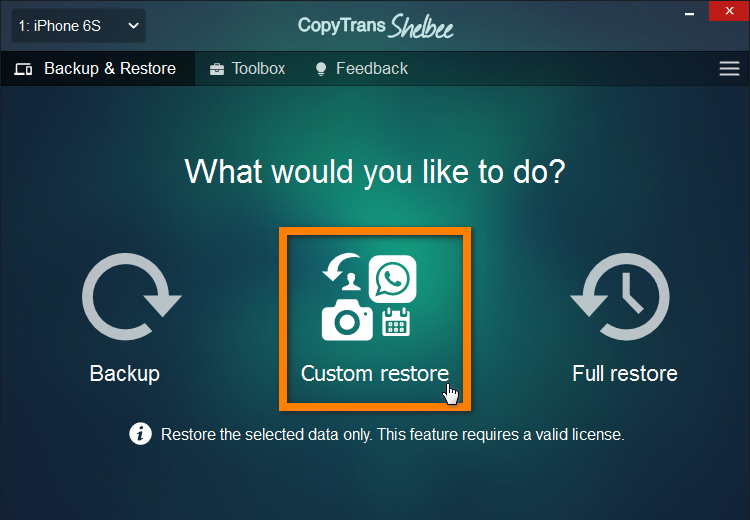 Did you know that CopyTrans Shelbee is able to restore the selected data only? No matter if it’s messages, notes or other apps. 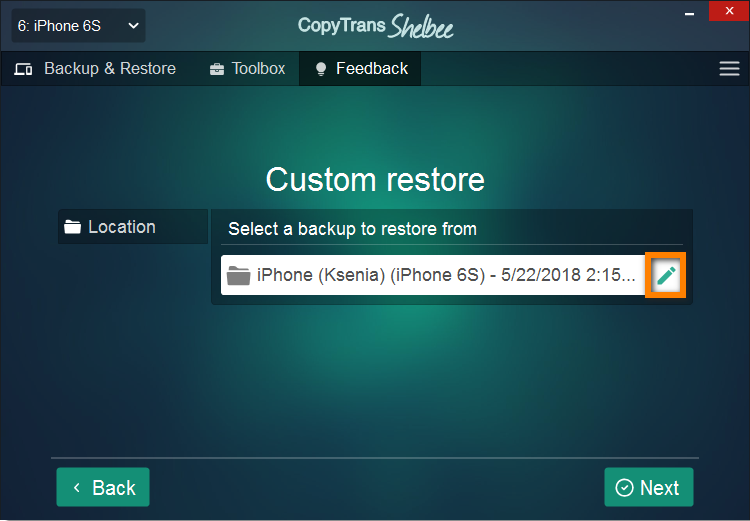 Keep iTunes closed and run CopyTrans Shelbee. 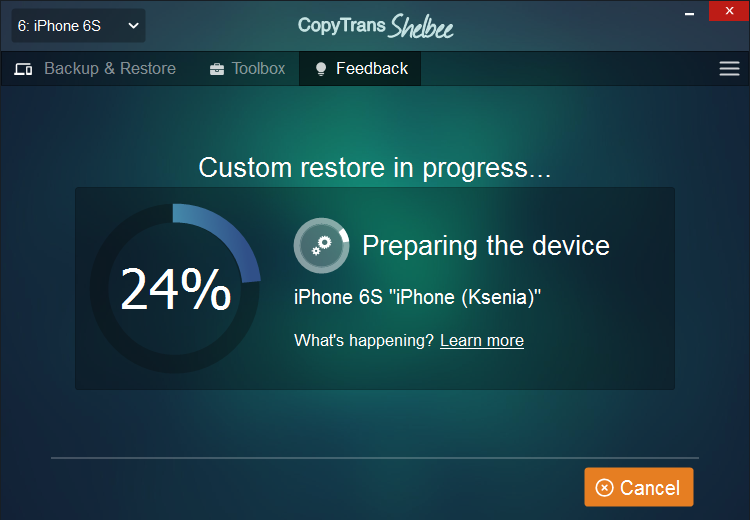 Plug in your iPhone and click “Custom restore”. On the next screen click the pencil button. 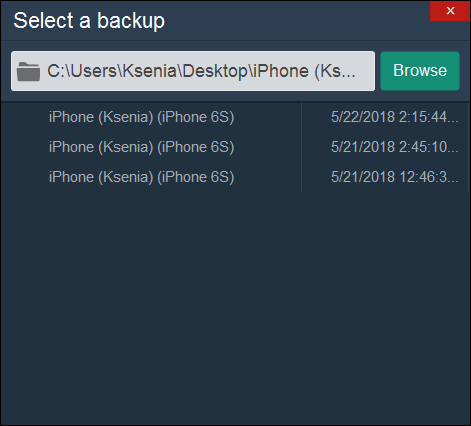 Select the iPhone backup containing your old iPhone SMS from the list in the newly-opened window. Select “Messages” and click “Next”. NOTE: To make sure that all your messages are transferred, don’t forget to select “Accounts” as well. Keep in mind that existing messages on your phone will be overwritten. If you are OK with that, click “Next”. Before restoring we make a temporary backup just in case something goes wrong. Select the backup location, then click “Start”. Wait untill until restore is finished. Your messages were successfully restored.